M3M and Tribeca will develop 250 ultra luxury residences under a brand licence from The Trump Organisation, led by Donald Trump Jr, son of US President Donald Trump. This is the fourth Trump Tower project in India after Pune, Mumbai and Kolkata. 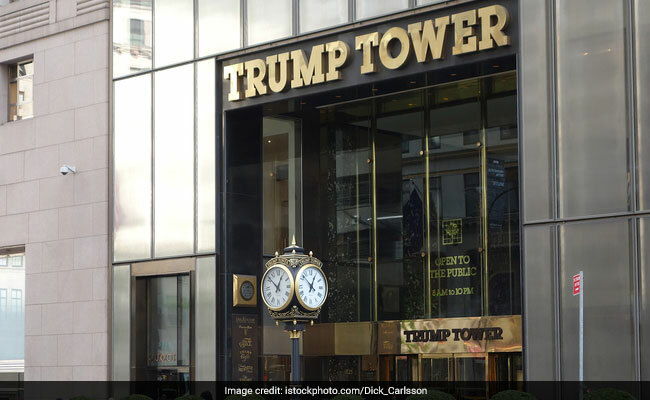 New Delhi: Global realty brand 'Trump Towers' will make its debut in North India through real estate firms M3M India and Tribeca Developers, which launched a luxury residential project on Wednesday under the marquee in Gurugram entailing investments of Rs 1,200 crore. M3M and Tribeca will develop 250 ultra luxury residences under a brand licence from The Trump Organisation, which is currently led by Donald Trump Jr, son of US President Donald Trump. In the first phase of sale, the apartments which will have three and four bedroom options, will be sold in a price range of Rs 5 crore to Rs 10 crore. The size of the flats is from 3,500 sq ft to 6000 sq ft.
"We are launching today the most luxurious project in North India 'Trump Towers Delhi NCR'," M3M India Director Pankaj Bansal told PTI. With an aim too woo customers, he said, "About an initial 100 buyers will fly to the US where Donald Trump Jr will host them." Trump Organization Executive Vice-President Donald Trump Jr said in a statement: "With its stunning architecture, beautiful interior options and lavish amenity spaces, our goal was to bring the best of the Trump brand and luxury living to Gurugram." Trump Towers Delhi NCR will quickly become the most prestigious address in the city, he added. The construction work of the towers, each around 50 floors and over 600 ft facing golf course, will start in March and the project will be completed in five years. The towers will have the signature all glass facade. Each residence will have a private elevator, while a third of the residences will have over 22-feet high double-height living rooms. Asked about the project cost, Bansal said it would be Rs 1,200 crore excluding land cost. M3M India and Tribeca expects sales revenue of Rs 2,500 crore from this project. "This will be the biggest Trump project in India with development of over one million sq ft," Tribeca founder Kalpesh Mehta said. He said it took two years to design this project. Mehta said the company is targeting high net worth individuals and NRIs to sell this project. M3M India has provided the land for this project and the company would be responsible for development. Tribeca will market this project while The Trump Organisation has lent the Trump brand.